As one of the forefathers of the SUV sector (originally unveiled in 1982), the Pajero is now in its fourth generation. As one of the forefathers of the SUV sector (originally unveiled in 1982), the Pajero is now in its fourth generation. Always offering plenty of value and space - the long wheelbase versions with seven seats - it’s also refreshingly rugged and capable for a sector so often dominated by luxurious 4x4s. The used market isn’t exactly flooded with examples though, so you’ll have to hunt hard to find the right one. Both short- and long wheelbase versions were offered throughout the model’s history, also available as a commercial model either with tinted or panelled windows. It’s the standard long wheelbase variant that is the most practical though, boasting an extra pair of rear seats that fold into the floor. 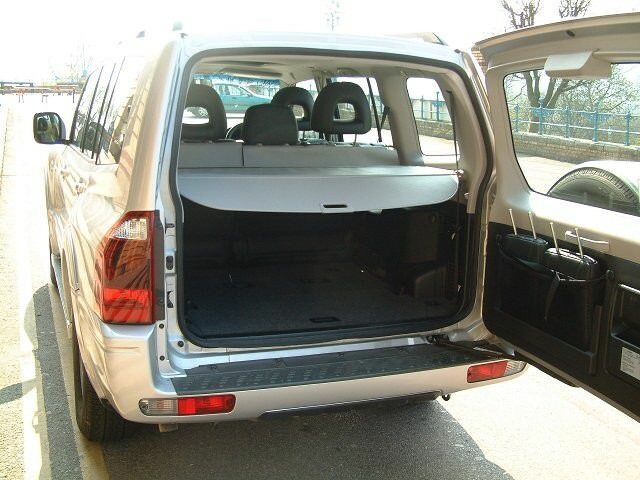 Leave them all down and you can squeeze in 1,790 litres of luggage into the load space too. Although petrol engines were offered elsewhere in the world, only the 3.2-litre DI-D diesel engine came to Ireland. Early models had 170hp, and the latest cars boast 200hp. But the biggest drawback with the Pajero is annual road tax - pre-2008 models carry a €1,683 charge, and those rated on CO2 emissions range from €2,258 to €1,129 for the very latest examples. The five-speed automatic gearbox is a decent unit, but for those wanting to make use of the Pajero’s towing or off-road abilities the five-speed manual makes more sense. All gearboxes come with a separate low-range box and a locking centre differential. Trim wise the top spec cars were badged Elegance, and come with plenty of toys as standard while lower down the hierarchy you’ll find some GLS models too. There are plenty of commercial models for sale on the used market, but it’s the full-fat long wheelbase Elegance that makes the most sense - after all if you can afford the hefty running costs you can stretch to the top specification. We’d opt for the five-speed manual as well, which offers more control and fits in well with the rugged character of the Pajero. Just be prepared to spend big once you’ve bought it thanks to poor economy and CO2 emissions. Don’t expect the sophistication of a Land Rover Discovery or the on-road manners of a BMW X5 and you’ll be perfectly happy with the Mitsubishi Pajero. Properly practical, both in terms of its rugged ability and capability to carry plenty of people or objects, it’s not cheap to run day-to-day - though the firm’s reliability record stands it in good stead.